Zesco United today head to South Africa for a 10 day training camp. The 2017 FAZ Super League runners-up will set up their camp in Johannesburg. However, no friendly games have yet been confirmed. 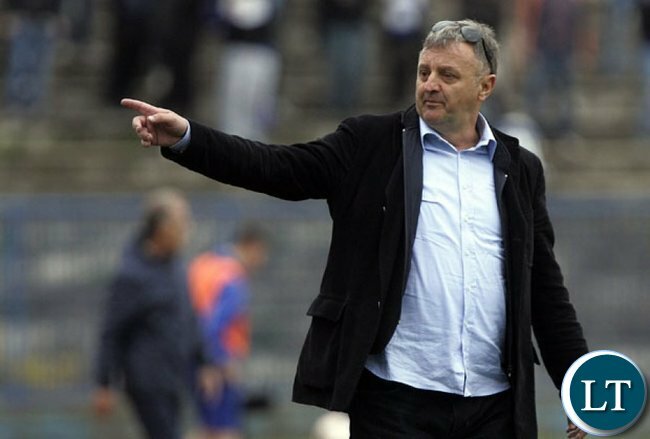 The training camp will mark new coach Zlatko Krmpotic his first excursion with the 2016 CAF Champions League semifinalists following his appointment a week ago. Zesco will return home on February 22. Zambia’s 2017 Confederation Cup representatives have been handed a preliminary round bye and will enter the competition on March 8. Zesco await the winner of the preliminary round match between KVZ of Zanzibar and visitors Dangerous Ngozi from Burundi who play in the first leg today in Zanzibar. You cannot even set up camp in your own country because the conditions under pf are dire. You people in Zambia everything you blame the government wow.That’s why I moved out in that country because people ‘re too negative in there life.You want government to build in a toilet for you lol. Who do you think owns ZESCO? don’t be funny @NEZ even UPND will singing the same song as PF, they will even dance more carelessly than PF because their Leader is even more corrupt! He amassed his riches from the privatization transactions He did under Chiluba you think we don’t know……. just wait for your stealing chance! This is very wasteful …first they get a foreign coach, now they are camping abroad…who is paying for this? ZESCO is not a private company and has never recorded a profit….Zambians are a docile people if you are unhappy with load-shedding surely how can you stand for this? We need to find out if this club is self sufficient….we never learnt anything from the mine clubs on the Copperbelt. Jay Jay,Zesco United earned more than $700,000. from CAF through their exploits in champions league when they reached the semi final not withstanding high gate takings.Educate us on how they are suppose to use the money they earned ?I think at times let us debate issues objectively and not just make wild accusations and negativity especially. Life does not start and stop with politics, life mus go on. Invest in infrastructure (not a bus) and businesses that payback…so if you get a sudden windfall your lifestyle changes…its this mentality that makes our people not create worth. How can you be self reliant if you start living like a king…this is what happened to FAZ after they won Afcon..after a year everything was chewed by Galu through salaries and bonues. This article is based on football not on politics.